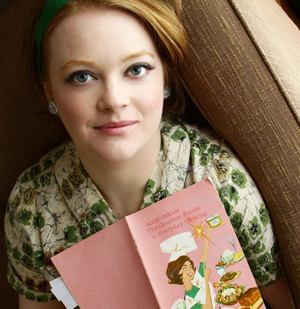 Yeah, ‘cause that green food coloring is going to make it alllllll better. 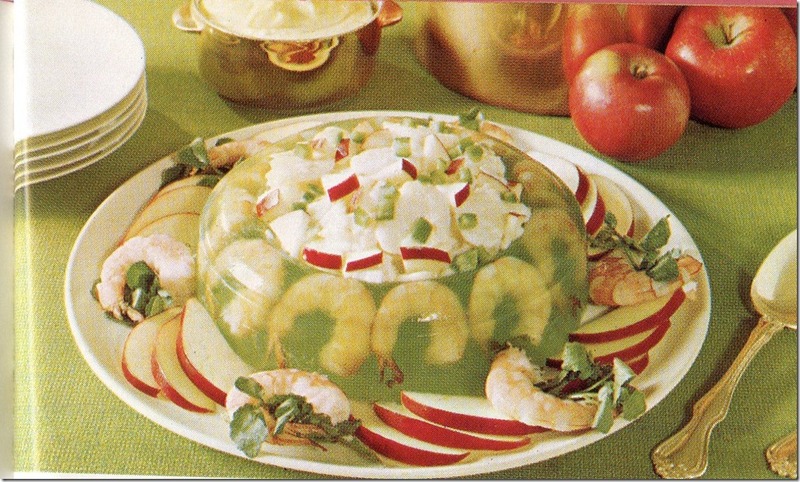 The shrimp look as if they are trying to escape as they desperately press themselves against the seafoam aspic in a sad final show of solidarity and bravery. 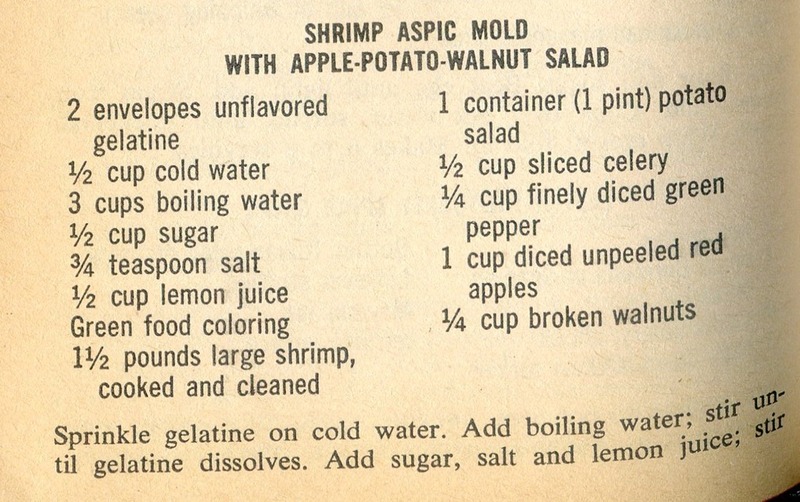 Isn’t it the shrimp motto to always go down with the sea green jello-ship? Such heroes! 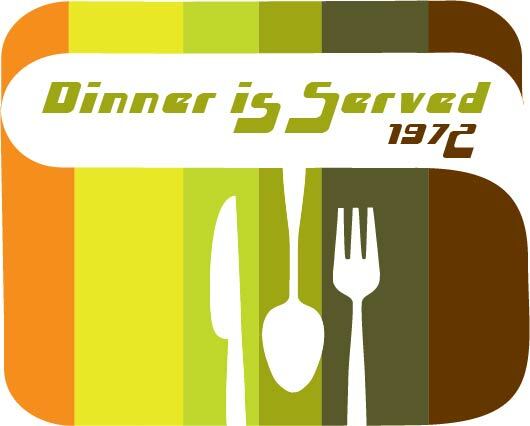 This is what you serve to people that you want to leave the dinner party early. 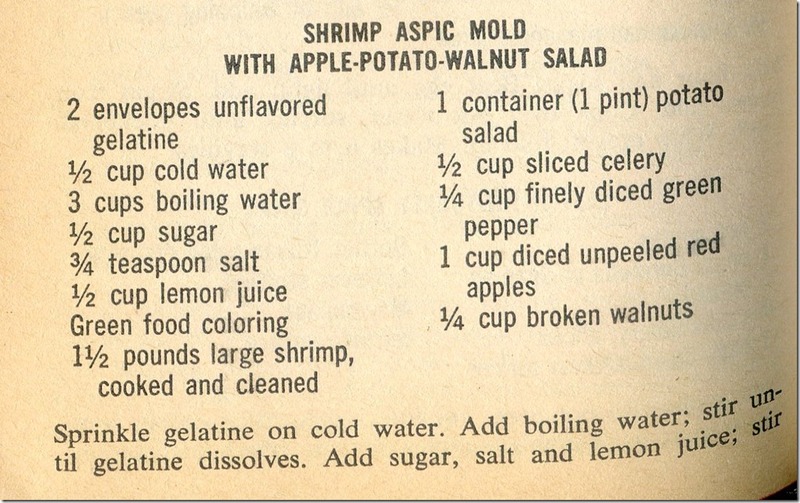 Well, at least it’s not lime jell-o and loads of vinegar to try and cut the sweetness?